For the first time in its measurement over the past decade, a new Gallup poll shows that American Democrats are now more positive about socialism than capitalism. Fifty-seven percent of Democrats today have a positive view of socialism, the same percentage as is 2010. The major change is a less favorable attitude toward capitalism, dropping to 47 percent of Democrats who feel positive about capitalism this year—lower than in any of the three previous measures. On the flip side, Republicans are very positive about capitalism, with just 16 percent positive on socialism, the poll found. Best-selling author Stephen E. Strang notes that this trend is evident in some of the recent high-profile campaign races and elections. Strang is following up his best-seller, God and Donald Trump, with his new book, Trump Aftershock: The President's Seismic Impact on Culture and Faith in America, out on Election Day, Nov. 6. The author says many voted for and continue to align with President Trump because of his commitment to the ideals that built the foundation of America. "Trump was elected because he was seen as a change agent," Strang writes in Trump Aftershock. "He promised to halt the Obama administration's headlong rush toward globalism, to dismantle the deep state and root out the leftist underground covertly transforming the republic into a socialist oligarchy. But in many ways, this election was an anomaly. Both candidates ignored the guidance of their respective party leaders, listening more intently to their bases." Strang added that with more feeling positive about socialism, including today's Millennials, who backed Bernie Sanders, it's not out of the realm of possibility that socialist views and ideals will begin being woven into the American tapestry. "The truth is, Americans don't share their admiration for anybody or anything these days," Strang added. "Conservatives and liberals no longer agree on politics, religion, the media or what qualifies as free speech anymore. One man's view of free speech is another man's definition of hate speech. Longstanding ideals have been challenged by the liberal establishment, which is why many are calling for a Constitutional Convention to redefine who we are and what we believe as a nation. This would be a disaster for many of the basic rights we have taken for granted for the last two centuries. Who knows what a new constitution would look like? But for those intent on changing our country to be more godless and socialistic, it would help them achieve their goals." But most recently, Strang added, many significant changes have taken place in our country since Trump's inauguration—victories for conservatives and stunning aftershocks for those who have been working for decades to transform this country into a socialist utopia. "During my appearances on the liberal news networks," he said, "I've been asked to explain why evangelical Christians who claim to be so moral could be so hypocritical as to vote for a sinner like Trump. At times I felt as if I were going into the lion's den to defend the president. Even though I was trained as a secular journalist and worked in the secular media early in my career, I have to agree with Trump's 'fake news' moniker. The secular press refuses to give Trump credit for anything. My friend Russell McClanahan once told me, 'If Donald Trump came up with a cure for cancer, his critics would say he was putting doctors out of business.' Meanwhile, Barack Obama is leading a shadow party funded by leftist radicals such as George Soros, trying to impose his socialist will on the nation, and the mainstream media has little or nothing to say about it." If Donald Trump's election was an earthquake, his accomplishments since then are the aftershocks the world never saw coming. In Trump Aftershock, Strang explores how Trump's agenda aims to free the economy and stock market to boom as never before; restore the federal courts with judges who rule by the Constitution, not legislate from the bench; address the surge of illegal immigration; rebuild the U.S. military to ensure peace through strength; combat the media's fake news war; deal with foreign leaders through an unconventional approach; expose the deep state and agenda of former President Barack Obama; strengthen ties with Israel and find a lasting peace in the Middle East; protect religious liberty and traditional values; uplift America's standing in the world while putting America's interests first and much more. Stephen E. Strang is the best-selling author of God and Donald Trump, which was brandished by the president during his appearance at Davos World Economic Forum in 2017. 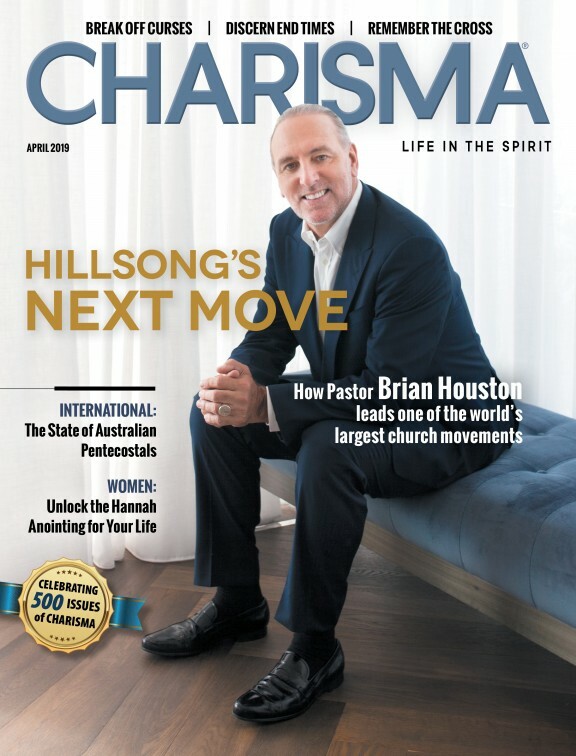 The CEO and founder of Charisma Media, Christian publishing house and media company, Strang was voted by Time magazine as one of the most influential evangelicals in America. He has traveled to more than 50 countries, interviewed four U.S. presidents and has been featured on Fox News, CNN, MSNBC, CBN, Family Talk with Dr. Dobson and The Daily Caller. Strang founded Charisma while interviewing and writing about nearly every Christian leader in the country over the past four decades.